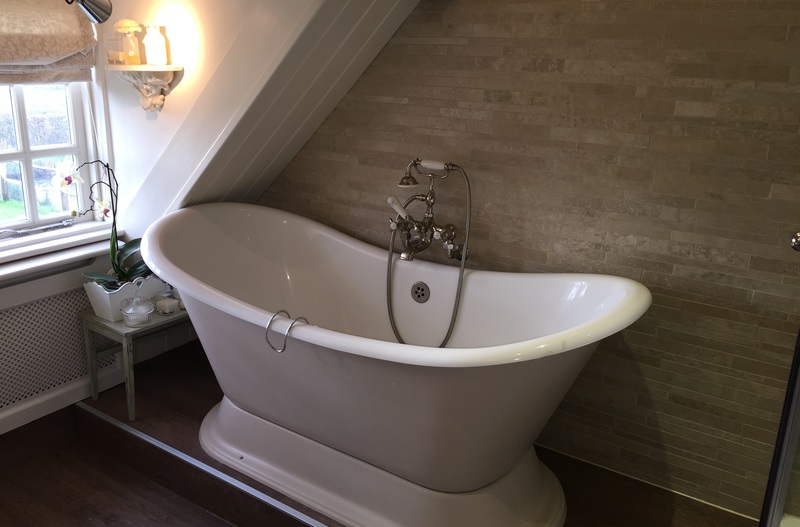 This beautiful bath installation was fitted in Henfield. The clients were after a stylish look and wanted to make a feature with the installation. We decided a free standing bath would be perfect for this bathroom design. On installation the waste and overflow were fitted to the free standing bath before being placed, levelled and bolted into position.